An earthquake is a shaking of the ground that occurs when two large blocks of Earth's crust (tectonic plates) slip suddenly past one another. They are the planet’s way of relieving stress in its outer surface and happen because the tectonic plates are in constant motion across the face of the planet. In a way, they reveal an interesting contrast: what humans consider a horrible and deadly occurrence is, in actuality, an essential geologic function. Most earthquakes happen on or near a fault, the places where tectonic plates meet, forming a kind of interlocking, planet-size puzzle out of Earth’s crust—except the puzzle pieces can be larger than entire continents and move at about 2 inches (5 centimeters) per year. The plates also have jagged, rocky edges that cause them to lock together, even as the rest of a plate continue to move. This causes the faults to slowly build up stress. When the stress in a section of fault overcomes the strength of the rocks holding it in place, the fault breaks. The result is a sudden release of energy into the surrounding rock in the form of waves of energy that, if the rupture is large enough or close to the surface, we feel on the as shaking in the ground. If the earthquake is large enough, these waves of seismic energy can even travel to the other side of the planet. The faults that cause earthquakes come in several different forms. The two sides of a strike-slip or transform fault move parallel to each other in opposite directions. One side of a thrust fault moves over the other (which plunges deep into the planet). Normal faults occur where two plates pull away from each other, causing sections of one or both to fall or molten lava to well up in between and form new crust. Most of the world’s large earthquakes occur on thrust faults, in regions called subduction zones where one plate dives or subducts beneath another plate. 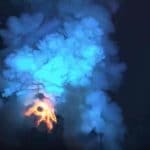 Because subduction occurs primarily in off shore regions of the seafloor around the Pacific Ocean’s so-called Ring of Fire, most of the largest earthquakes also occur deep below the ocean surface. Earthquakes can also occur in the middle of tectonic plates for a variety of reasons. Most of these are small, but a few, such as the 1811 and 1812 earthquakes along the New Madrid fault in the Mississippi Valley, are strong enough to cause significant and widespread damage. Small earthquakes shake Earth’s crust all the time, and not always where tectonic plates meet. Volcanoes tremble as magma moves through subterranean chambers and channels, the weight of water in reservoirs as they fill often cause small tremors to occur, earthquakes on faults in the middle of continents occasionally remind people that places like Kansas, Siberia, and the Sahara Desert are also a part of our active and ever-changing planet. 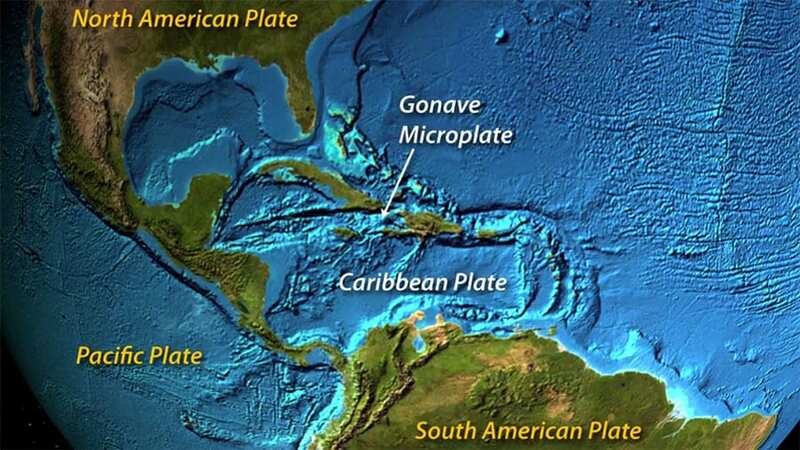 Most earthquakes, however, occur at plate boundaries and many of those are in the crust beneath the ocean. The type of fault and the "stickiness" of a particular section of fault can influence the size of an earthquake, or its magnitude. The best-known scale for measuring magnitude is the Richter scale, but that yardstick is a relative measure of earthquake size and is estimated from instrument readings of ground shake. The Richter scale is gradually being replaced by the moment magnitude scale, or seismic moment, which is a calculated measure of the energy released by an earthquake that takes into account such factors as the area of fault ruptured, the amount that the plates moved relative to one another, and the rigidity of rock that broke. Like the Richter scale, the moment magnitude is a logarithmic value, so that a magnitude 6 earthquake releases twice as much seismic energy as a magnitude 5 quake. No matter the source, the resulting earthquake will send off seismic waves through the Earth’s rocks that scientists can use to determine where the quake occurred and what type of fault or motion caused it. Extremely sensitive instruments called seismometers measure and record seismic waves given off by earthquakes and other events, many of which are too slight to feel. Networks of seismometers, located around the world enable scientists to determine the location of an earthquake on the surface of the Earth—its epicenter—above its hypocenter, or its precise origin below the ground. The shaking motion we feel as an earthquake is actually made up of different types of seismic waves that can be separated into two different groups: body waves, which travel through the depths of the planet, and surface waves, which shake the outermost crust. Body waves make up the largest of an earthquake and include primary or P waves and secondary or S waves. P waves compress and decompress the rocks in the direction the wave is traveling as it passes through the Earth as if the rocks were a giant spring. S waves move the rocks up and down or side-to-side perpendicular to the direction they travel. These waves travel slower, but can be the most damaging, shaking buildings and other infrastructure on the surface. Surface waves travel through the uppermost layers of Earth's crust and are similar to ripples in water. They are divided into two types: Love waves and Rayleigh waves. Love waves are similar to S waves in that they move perpendicular to the direction of the wave, but they only move side-to-side. The horizontal shaking of Love waves is particularly damaging to the foundations of structures. Rayleigh waves produce motion similar to rolling ocean waves in the ground. They move both vertically and horizontally in a vertical plane pointed in the direction in which the waves are travelling. Surface waves travel more slowly than body waves (P and S); and of the two surface waves, Love waves generally travel faster than Rayleigh waves. Earthquakes come in many sizes and happen all across the planet every day. Of course, large earthquakes often cause more damage than small ones, but when small or medium-size earthquakes occur in densely populated regions or in regions with poorly designed or in adequate infrastructure, the results can be just as destructive. 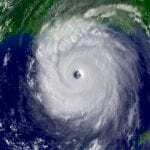 On the morning of January 12, 2010, a magnitude-7.0 earthquake shook the Caribbean nation of Haiti. While not as large as some other recent earthquakes that did less damage, the shaking demolished everything from shacks in shantytowns to the Presidential Palace in Port-au-Prince. Nearly a quarter of a million people died and more than a year later many people were still living in temporary shelters or in badly damaged buildings. Since then, the Haitian people and government, as well as aid agencies working in Haiti have also had to deal with increased crime and outbreaks of serious communicable diseases such as cholera. Such conditions arising in the aftermath of earthquakes can be almost as devastating as the seismic event itself—sometimes more so—and can take many different forms. Landslides and avalanches: Earthquakes can dislodge or weaken soil and rock on hillsides that may not actually slide for decades. Floods: Earthquakes may cause damage to dams or trigger landslides into lakes and rivers that in turn overflow their banks. Fires: Following an earthquake, damage to power and gas lines can spark fires; if water mains have been ruptured, it may be difficult to extinguish fires. 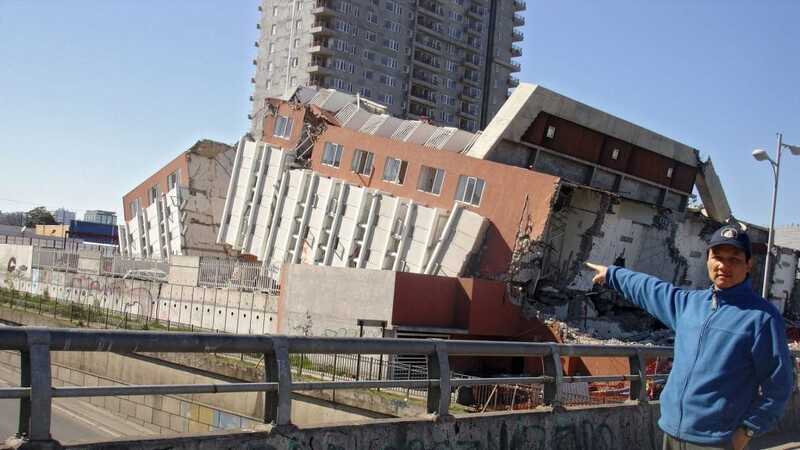 Soil liquefaction: Shaking water-saturated, granular soil transforms it from a solid to a liquid, causing buildings or bridges built on it to tilt or sink. Tsunamis: Undersea earthquakes and earthquake-triggered landslides into the sea, can trigger a tsunami such as the wave in 2004 that swept across the Indian Ocean and killed nearly one quarter million people. Societal impacts: Conditions after an earthquake may include a disruption of basic services and widespread disease that result in additional loss of life, damage to property and infrastructure that could result in a lengthy and expensive rebuilding period, as well as higher insurance premiums or tighter building codes that makes future development more difficult and costly. Earthquakes also act as a sort of spotlight into the deep interior of the planet. The different wave types travel at different speeds through different parts of Earth’s interior. By measuring the speed and path of the waves, scientists can determine such things as the temperature, composition, and deformation of the material that the waves travel through. Better knowledge of the planet helps improve understanding of hidden processes that occur in Earth’s core, mantle, and crust and that may affect us on the surface. The characteristics of an earthquake itself, such as its location, magnitude, fault orientation, and direction of slip, are important for understanding tectonic processes at global and regional scales. Researchers also pour through historic records and monitor specific segments of large faults that have ruptured in the past to see if conditions are building towards another large event. Although scientists are unlikely to ever be able to exactly pinpoint the exact date and time of an earthquake in the future, they are becoming better able to calculate the probability of large events along certain faults. This allows people to prepare in advance if they are in areas of higher risk, which is certainly better than being caught completely by surprise when the ground begins to shake. Jian Lin came of age in an era of both geological and political seismic shifts in China, experiencing the deadliest earthquake in the 20th century in Tangshen in 1976 and the Cultural Revolution in the 1970s. Then he immigrated to America and came full circle in 2005 to become the first U.S. scientist to co-lead a Chinese deep-sea research cruise. ‘Virtual’ chief scientist directs a research cruise without leaving land. 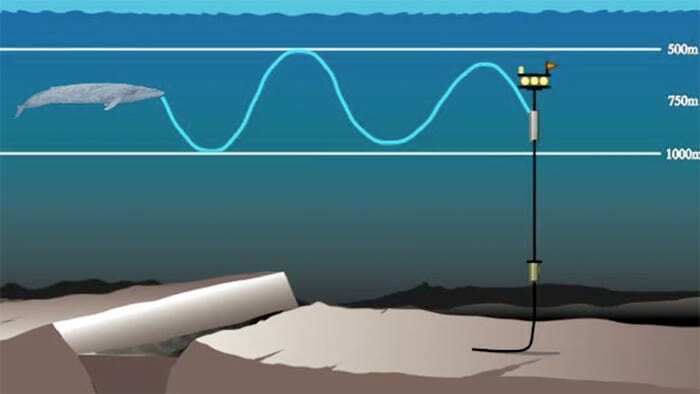 Advancing scientific discovery for over 40 years by continuously improving the quality of seafloor seismic observations through advances in instrumentation and operation. 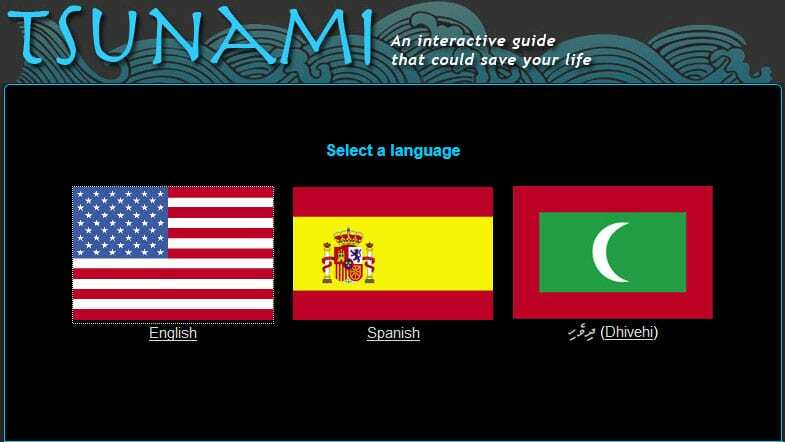 Information about the earthquake and tsunami as well as the fate of radiation in the environment.